I like the little township of Tooradin on the coast of Western Port Bay east of Melbourne. So unpretentious. 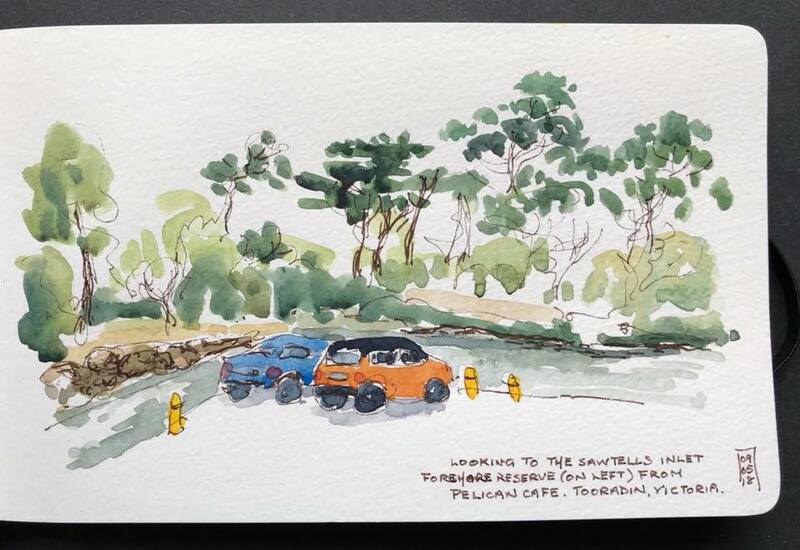 This is the Sawtell Inlet Foreshore Reserve on the left and our orange car (sketched from the equally unpretentious Pelikan Cafe). 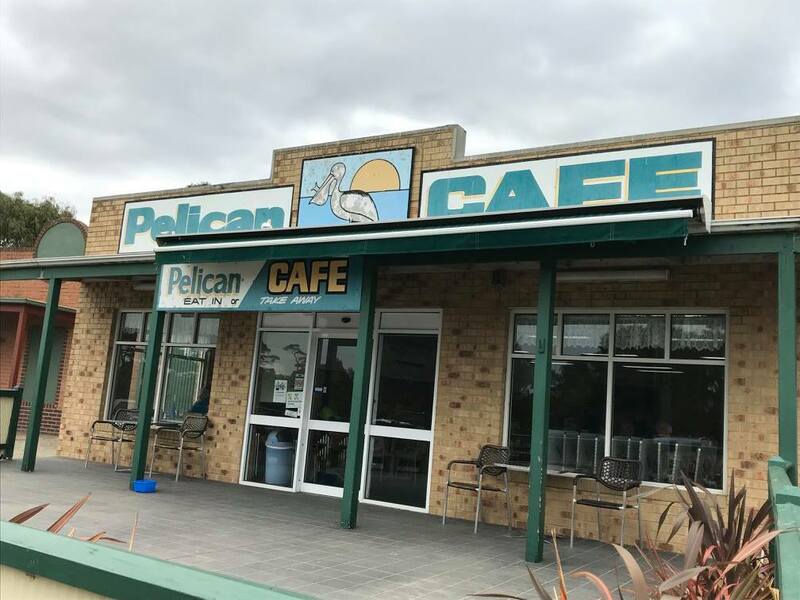 The Pelican Cafe is a rather jaded but unexpectedly popular lunch destination. 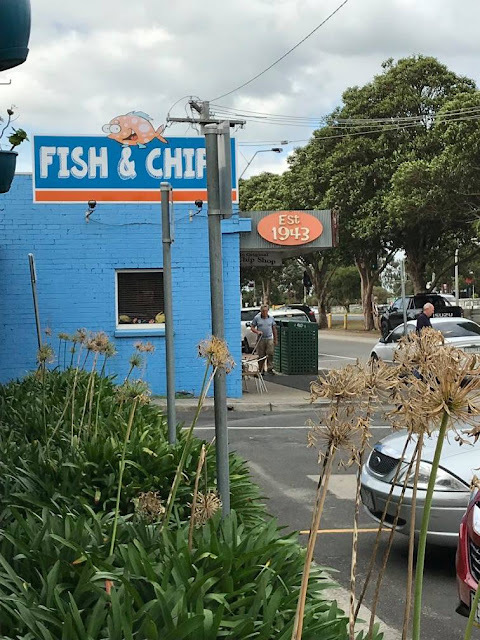 They still serve Aussie fried dim sims (once considered "exotic") and simple toasted cheese and ham sandwiches... without fancy salad. In another 5 years Tooradin as it is today will all be history as modern upmarket eateries and shops take their place. Here's Sawtell Inlet with it's mangrove swamps where it meets the sea. 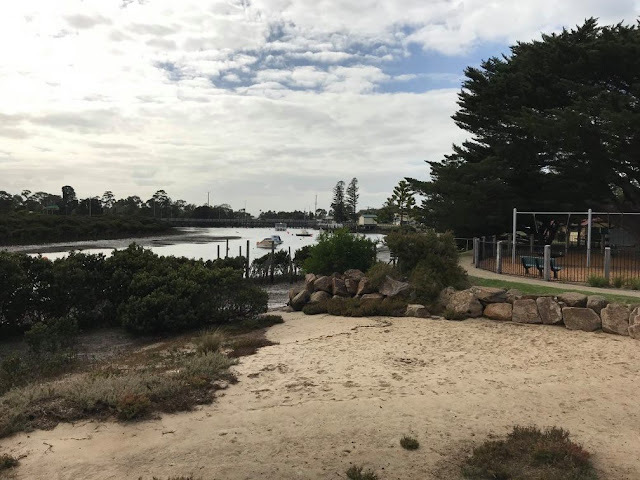 It sure was a gloomy, windy, cold day.